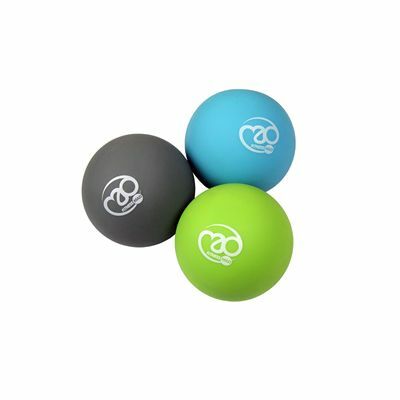 The Fitness Mad Trigger Point set comprises of massage balls in 3 different hardnesses. The set is ideal for acupressure massage and trigger point release and can be used in conjunction with a foam roller for great results. For the neck massage roll the ball around between the neck and an open palm, and for the shoulders and upper back massage place the ball between the back and the wall. To massage the lower back or glutes start in a sitting position, and for calfs or thighs try either sitting or lying on the floor and gently roll around the ball. for submitting product information about Fitness Mad Trigger Point Massage Ball Set We aim to answer all questions within 2-3 days. for submitting product information about Fitness Mad Trigger Point Massage Ball Set. We aim to answer all questions within 2-3 days. If you provided your name and email address, we will email you as soon as the answer is published. for submitting product review about Fitness Mad Trigger Point Massage Ball Set.